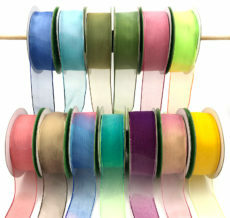 May Arts sheer ribbon has a wide variety of sizes & colors to choose from. 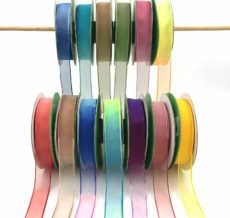 If you are gift wrapping, our sheers offer a lovely and affordable selection of ribbon. 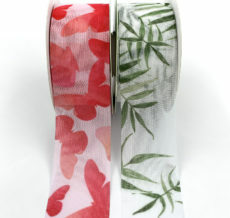 Our wider sizes are perfect for decorating for a gift basket, a floral arrangement, & even an upcoming bridal or baby shower.